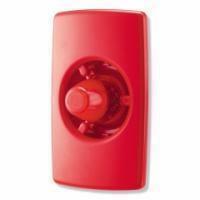 Fire alarm horn siren with strobe KS-F104 is suitable for indicating fire emergency for any security system. Consumes less power than the conventional siren, but with brighter strobe for alerting when sound might not be heard. Bright LED strobe and effcient energy consumption. *****If there are any OEM designs/specifications you would like to develop for this product, please feel free to contact us.